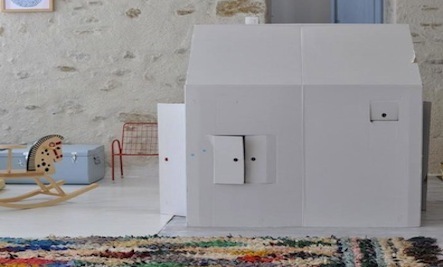 Forget all the other toys, all any kid really wants is a good cardboard box—especially when it’s been DIY’ed into a proper playhouse. At Remodelista, we liked this idea from stylist Aurélie Lécuyer in Nantes, France. For a similar budget-conscious playhouse, see our sources below. Above: The inspiration, found via Le Dans La. Above: Photo via Le Dans La. For more children’s room inspiration, visit Steal This Look: Pastel-Bright Children’s Room. 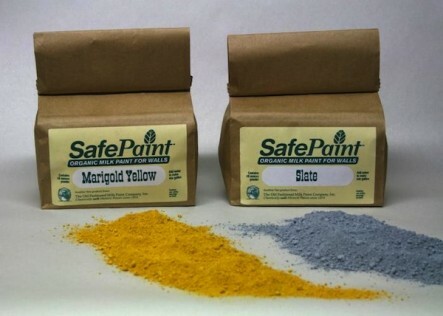 Above: An eco-friendly non-toxic resource: Old Fashioned Milk Paint’s SafePaint. Organic, biodegradable, zero-VOC, and non-toxic, one gallon is $45.95. 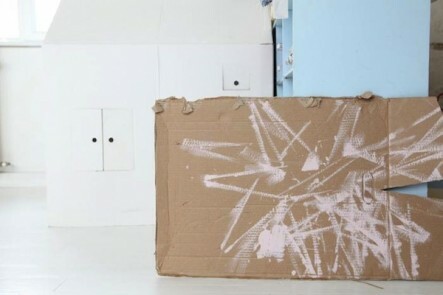 For nine other options, see 10 Easy Pieces: Eco-Friendly Paints. 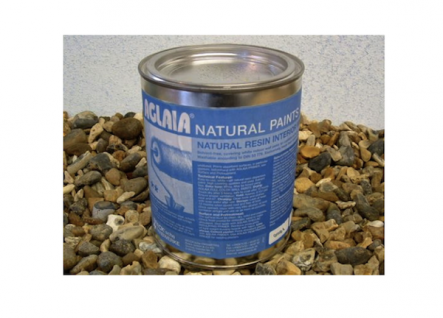 Above: Also, Aglaia Natural Paints are free of chemical solvents and made from beeswax, carnuba wax, chalk, citrus peel oil, clove oil, mica, and talcum; prices start at $51.95 for a gallon through Aglaia Paints. See more of Aurélie Lécuyer’s home in House Call: Aurélie Lécuyer in France. we love making crafts with cardboard! the options are limitless! Lin M. _____ your comment sounds like something we would when we were kids. Yeah, ripping a box to shreds would be fun for some kids. I was the only girl in the middle too, soooo my brothers had an influnence on me. MMMM I need to clean out the attic & watching those boxes rolling down the attc stairs will make me laugh so hard that I might bust my gut. Kids now days would probably just tear it up for fun. My nieces say I'm the best fort maker that ever lived! lol So I've got that going for me! Thanks for the suggestions! drop the boxes ( about 20 feet ) & watch the box explode & the bodies flying everywhere. climbing down from a tree house while laughing hysterically is very dangerous. my favorite toy was a fridgerator box. it was a house, a tent, a hiding place. when worn out, a place to lay to watch the stars. Lydia W. ____ your post is SO TRUE ! Imagination does make it more fun ! With No decorations your invention can be this one minute & that the next. Weeeeeeee ! ! ! ! Thanks! When we were kids, my little brother and I threw a sheet over the dining room table and it became our fort. Imagination is so much more fun than anything fancy!